Teeth cleaning is essential not just for clean teeth, but a healthy mind and body as well. But for such a routine visit, there’s lots that people don’t know about. Here’s what you should know and what you should expect out of your next teeth cleaning. Many people see the mouth as separate from the rest of their body. But the reality is that it’s all connected — and problems in your mouth can cause or even act as an indicator of disease in other parts of your body — including dementia and heart disease. Teeth cleanings are an essential part of keeping your mouth, and the rest of your body, disease-free. 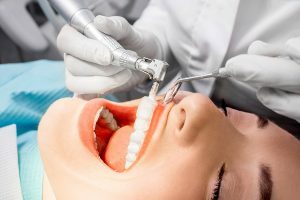 I’ve designed this guide to give you everything you need to know to get a quality teeth cleaning, get your money’s worth, and what to expect. After you finish this guide, I’ll expect you to eliminate “whatever you say, Doc” from your vocabulary. Yes, teeth cleanings are routine, but there are some things you need to know. You might know if there is cancer or heart disease in your family in case your doctor asks — and gum disease family history is just as important. Find out what type of gum disease and how severe. I know it’s not exactly dinner time conversation but it doesn’t hurt to ask. There’s a strong genetic predilection for gum disease and this information can help your dentist with your teeth cleanings and overall care. We all have bacteria in our mouths and certain dental treatments can allow that bacteria to enter the bloodstream (called bacteremia). For most of us, this isn’t a problem. A healthy immune system prevents these bacteria from causing any harm. When you have a teeth cleaning, the bacteria that are in your mouth can get into the bloodstream after the proceure. This is very common, well-known, and safe — if you’re healthy. For certain groups of people, there is concern that this bacteremia could cause an infection elsewhere in the body. An antibiotic makes sure you cover all your bases. If you fall into that category, click here to read my recommendations. Teeth cleanings remove the buildup of plaque and tartar. This buildup is for the most part natural — kind of like how a boat picks up barnacles just by being in the ocean. But too much buildup leads to gum disease. The reason tartar needs to be removed is because your body sees it as a foreign invader. As with any other foreign invader, like a flu bug or an infection, your body “sends in the troops” using the immune system to fight off the infection. There is a battle in your mouth at all times, and the war is never over. Teeth cleanings level the playing field by keeping things in check. Gum disease is when your body’s immune system is responding to this tartar buildup with inflamed and bleeding gums. The immune system response is successful at killing off invaders like infection and flu bugs, but at a cost: like a war, there are innocent bystanders that get slaughtered. As gum disease progresses, so does the destruction to your bone and tissues in your mouth. Your immune system is meant only to fight off infection for a short period of time — chronic activation of the immune system means it can get worn out and it won’t be as strong to fight off an illness. Chronic activation of the immune system can lead to diseases in the rest of your body. That’s why preventing gum disease reduces risk of stroke, heart disease, and dementia. At a certain stage, this damage is irreversible, so prevention is the best way to maintain overall health and keep beautiful teeth for a lifetime — and teeth cleanings are a critical piece of this prevention. A professional teeth cleaning is done by the hygienist at a dentist’s office. 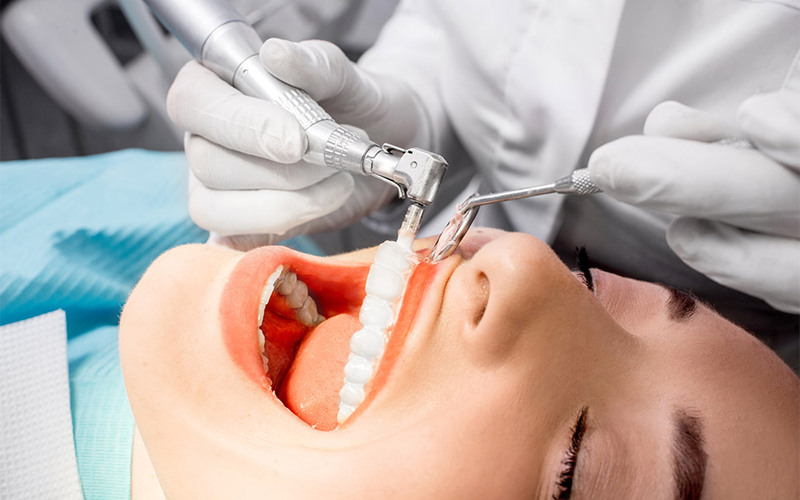 The hygienist uses tools to remove tartar from your teeth — both above and below where the gum meets the tooth.